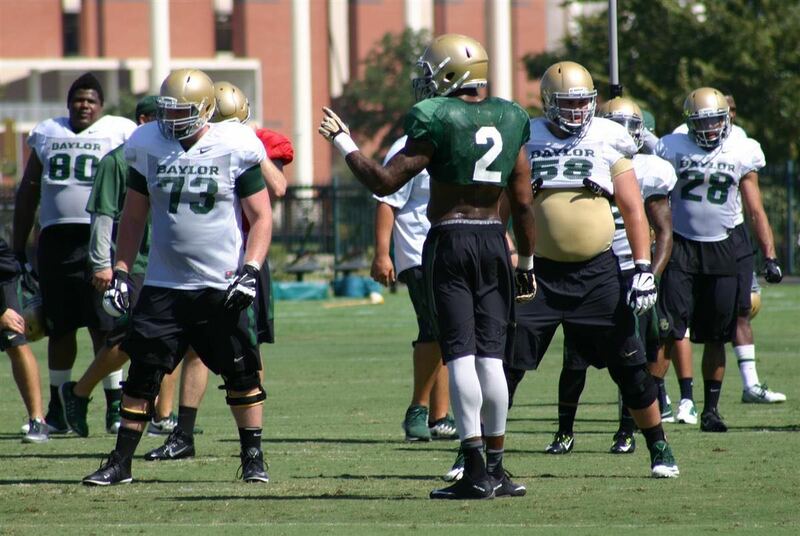 Its been a terrible few days at Baylor since the last post. To sum things up, a few days ago a student athlete from Baylor was convicted of the sexual assault of a female student athlete from an incident that occurred back in 2013. The male student athlete had been on scholarship as part of the Baylor football team after transferring from Boise State. The case itself, the back ground, the handling by Baylor University, the Waco Police department, a Grand Jury, and local court, Baylor Athletics coaches and staff and Boise State University are all detailed in this summary article by the Waco tribune. A very good summary of the timeline can be found here. The victim of course has had to deal with this the whole time, and hopefully can rehabilitate their lives: Not such an easy thing to do. 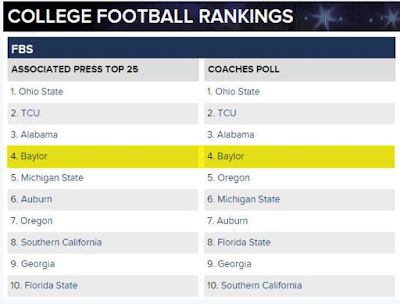 For Baylor fans, they are taking in the 22 months worth of news all at once, and prime in their concern and interest is the question of liability of Baylor Athletics and coaches. Who knew what and when? There has been a release of documentation to validate Baylor's claims that when it took the player in as a transfer all they knew was that he had some depression issues, a case of violence involving a room mate and was suspended from the Boise State football team yet otherwise in good standing with the Boise State school and could return for his sophomore year if he wished. That he went on to commit a heinous crime is 100% the fault of one person, the perpetrator. Just as victim blaming is the terrible responsibility minimizing reaction of some that attempts to shame victims, shopping out responsibility to institutions can have a similar effect: that the perpetrator is somehow LESS guilty because of some clerical and institutional procedure. Interviews with the players' High School coach about the matter seem to confirm Baylor coaches' position that they took on a player with a few psychological issues whom was seeking a return closer to home in Texas from their position at Boise. The length of time that the case was in the works but not reported publicly was quite a while. This diary page knew for a few months as did the players but there was a gag order about it being published in the news and seemingly everyone respected and obeyed that. What wasn't known, was the extent of the involvement of another player on the team, something which both Blake and Sean as well as this diary blog, also first learned about in the last few days. It has been a big national story, a lot of misinformation and speculation is around and interested persons should pay attention to the upcoming investigation by Baylor University that will begin immediately as announced by the University President. In football news, the team was just ranked #4 in the nation in two polls. 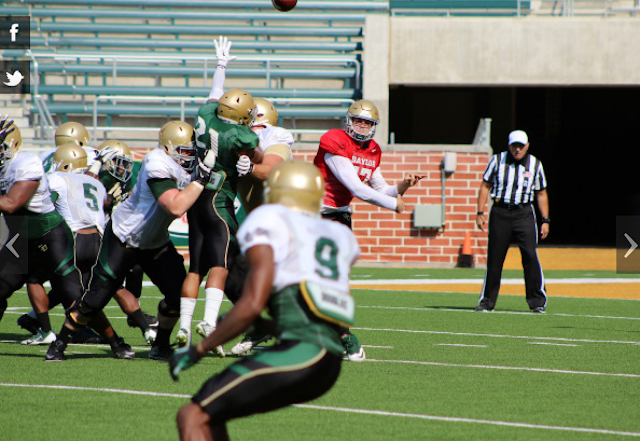 The Baylor Bears had a scrimmage today at McLane Stadium, marking a year since the bears first practiced in that new facility. 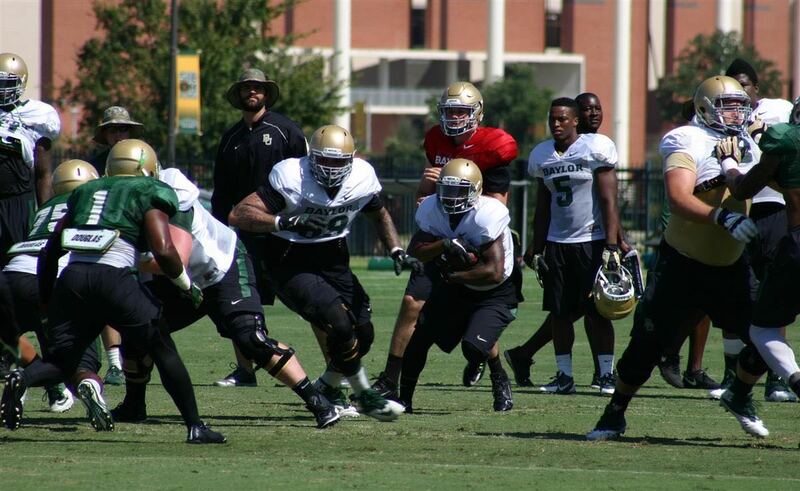 A full report, and pictures can be seen here on the Baylor Athletics page. 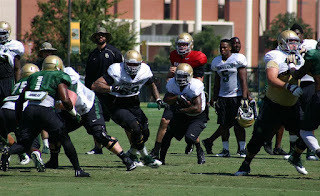 We're hurtling through Fall Camp. Remember to keep up with the uploads from the Baylor Athletics site on the daily occurrences going on with the team. A few pics of Blake in action courtesy of John Neidel at BearsTruth. They have a special going on for membership to their fan site. Follow this link and join up; add to the fan experience. 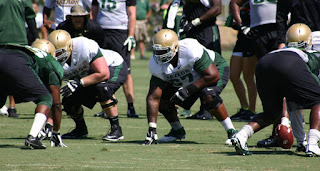 Blake played a little bit of Right tackle as well as Left Guard as mentioned yesterday. You can find his comments to reporter John Werner here. 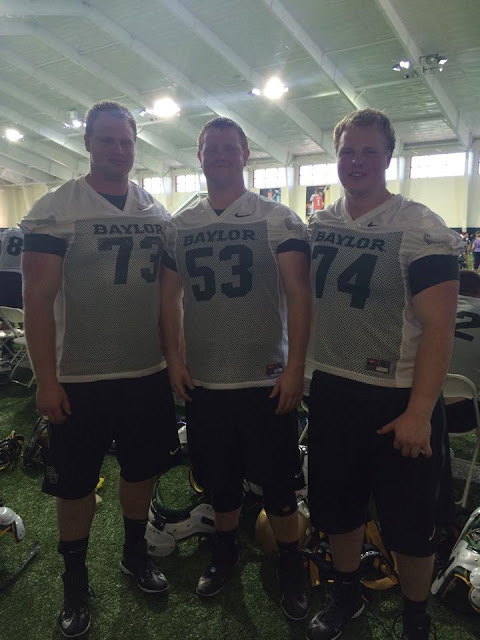 The 'Meet The Bears' practice was held today in Waco. This has become the traditional outreach for fans, and this year corresponded with the first practice in pads. A recap can be viewed here. The boys are practicing as expected. Blake took some reps at right tackle like he did in the Spring and like last year where he practiced at Right Tackle, Left Tackle and Center before starting as the Left Guard. Here is Blake and Sean with room mate Keith Orcutt. Highlights of the first day of Fall practice are up! Players have reported for Fall Camp practice and they will be on the field tomorrow for the first session. The Baylor Athletics site will have daily updates on how things are going for the lead up to the SMU game on September 4th. The hype videos are starting to filter through in the days before fall camp begins.